EyeQue VisionCheck has created a new device that allows users to carry out a home eye test. EyeQue VisionCheck is a refractometer that measures your refractive error, i.e. your nearsightedness, farsightedness, and astigmatism. The data taken by the EyeQue VisionCheck is then presented in the same format as your prescription allow you to order glasses online. The VisionCheck includes a patent-pending pupillary distance (PD) measurement tool, called the PDCheck, that accurately captures your PD in a matter of seconds. Watch the demonstration video below to learn more about the VisionCheck created by a team based in San Francisco California. The home eye test is powered by your smartphone and is capable of checking your eyes whenever necessary measuring the pupillary distance (PD) end enabling you to order glasses easily and efficiently from online stores. 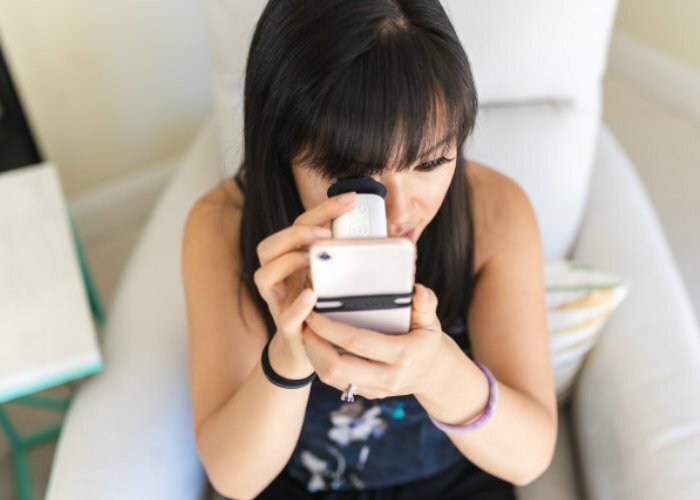 More details jump over to the official Indiegogo crowdfunding campaign page where the EyeQue VisionCheck is now available to back with earlybird pledges available from just $35. If all goes well worldwide shipping is expected to take place during March 2019.